REMARK: Updated taxonomy (i.e. to subatomoides per the diatom taxonomic coordinator) and updated genera. REMARK: has been confused with A. subatomoides. A. subatomoides is transferred to Psammothidium subatomoides. Phycology Section, Patrick Center for Environmental Research, Academy of Natural Sciences of Drexel University. Psammothidium subatomoides (NADED 186008). 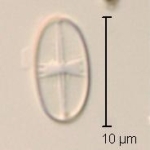 https://diatom.ansp.org/taxaservice/ShowTaxon1.ashx?naded_id=186008. Accessed 19 Apr 2019. This web service reports all information about a given algae taxon available at the time of retrieval.